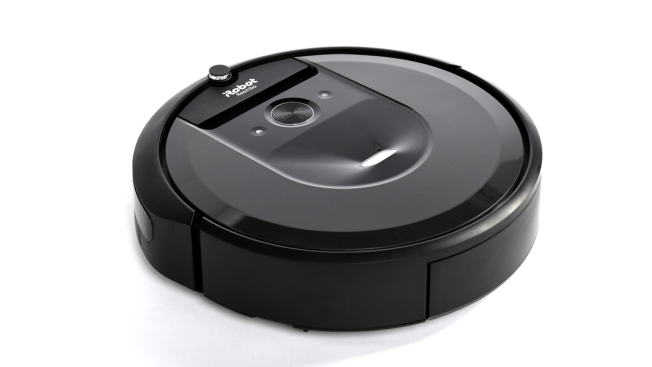 A file photo of a Roomba. It was a robotic vacuum cleaner. The Oregonian/OregonLive reports a house sitter in Cedar Hills called 911 Monday, saying someone was inside the bathroom. The Washington County Sheriff's Office says deputies entered the home and ordered the burglar out, but nothing happened. Deputies then opened the bathroom door with guns drawn and discovered the automatic vacuum cleaner. Sgt. Danny DiPietro says this encounter was his first "Roomba burglar" in 13 years on the job. He says the office is still "having a good laugh about it."